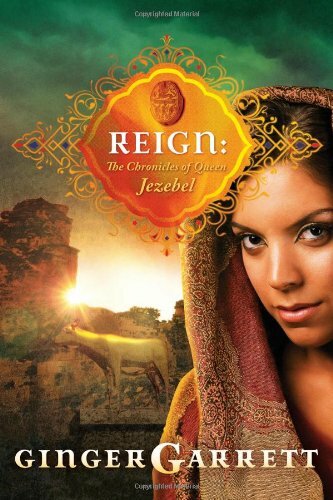 Reign is the fictionalized biography of the notorious Jezebel of the Bible. The story opens with Jezebel’s hatred of her twin sister and shoving her to her death in a sacrifice. The story unfolds through the point of view of Jezebel, her husband Prince Ahab, and Obadiah, a palace administrator. What makes this novel unique is the fact that the main heroine is abhorrent to our modern day sensibilities. As queen, she promotes murder and sacrifice, killing infants, rampant prostitution, the drinking of blood, worship of numerous gods, and pure evil. You will not like her, a most unusual predicament for most readers. Yet the story, although slow in places, was compelling and shocking enough to hold my interest. I love a good villain - the more vile, the better. Well written and woven with intriguing historical details, this novel was a very unusual, but interesting read, one that is still haunting me.